Iowa State wants to win a Big 12 regular-season title. So does Baylor. 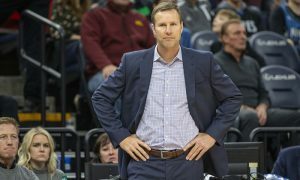 Both were within spitting distance of the lead heading into their game on Tuesday night at Hilton Coliseum in Ames, Iowa. Well, they’re both still in the race. But the complexion changed after Baylor won, 73-69. Baylor (17-9, 8-5 in Big 12) went into Hilton and weaved some magic of its own. However, if you looked at the history, the win isn’t all that surprising. After claiming Tuesday’s win the Bears have beaten the Cyclones (19-7, 8-5) in eight of their last 10 meetings. Of course, one of those two ISU wins came earlier this season in Waco, Texas, so the road team took the win in both meetings this season. Baylor had guard Makai Mason on the floor Tuesday night, and he put up 14 points despite his injured toe. He scored 10 of those points in the first half. But the star of the night was Baylor’s rebounding led by Freddie Gillespie. 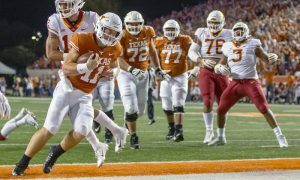 Baylor ended up outrebounding Iowa State, 44-30. Baylor is not a terribly tall team. If you were to aggregate Baylor’s stats the past two seasons you would find that the Bears’ most productive rebounder is sophomore guard Mark Vital, who is just 6-foot-5 but plays like he’s about five inches taller. But Tuesday night he had help in the form of 6-foot-9 forward Freddie Gillespie, who ended up having a career night in points and rebounds — 14 points and 10 rebounds, respectively. Gillespie’s rise in Baylor’s lineup is well-timed. The Bears lost forward Tristan Clark in January and no one was really sure if the Bears could get anything close to his production in points and rebounds. 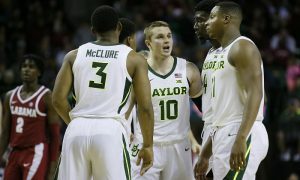 Baylor has made up for the scoring with a higher reliance on its guards — Mason, Jared Butler (17 points and five 3-pointers on Tuesday) and Kegler (9 points). 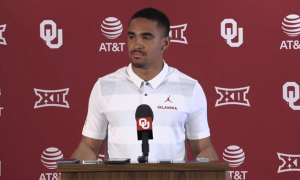 But it was an injury to guard King McClure that cleared a path for Gillespie to finally crash the starting lineup when the Bears hosted Kansas State two weeks ago. Against K-State he had a career-high 31 minutes, scored a career-high 13 points and grabbed 9 rebounds in a 7-point loss. Since then the Bears have stuck with Gillespie in the starting lineup, and while he only scored 2 points in each of his next two games, he kept rebounding — 4 against Oklahoma and 6 against Texas Tech. The additional playing time has allowed Gillespie to have a bigger impact on the game. Two years ago Gillespie was a Division III player at Carleton (MN). He sat out last season due to transfer rules and on Tuesday night his entire family was in Hilton Coliseum to see him play. He couldn’t have picked a better time for a career night. 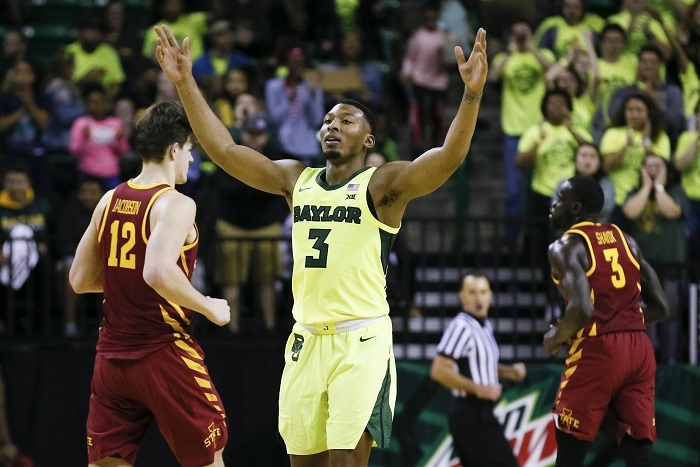 Baylor needed all of it as they played a nip-and-tuck game with the Cyclones that was wasn’t settled until the final minute. Iowa State, for some reason, struggled on offense. The Cyclones shot 43 percent from the floor but most notably they barely scored in the final seven minutes of this game (six points in the final 6:27). That allowed Baylor to not only overtake the Cyclones, but also allowed BU to build a two-possession lead. That rebounding disadvantage didn’t help either. Iowa State played a good game, but not a great game. Marial Shayok played a great game, of course. The senior scored 20 points and played with effort right to the end. But it just wasn’t enough. Lindell Wigginton added 10 points, but none of the other Cyclones cracked double figures. As for the impact, well it’s clear for both teams. Baylor and Iowa State are now in a tie for third place in the Big 12 standings, two games back of Kansas State. It’s a much bigger loss for Iowa State than it is a win for Baylor. 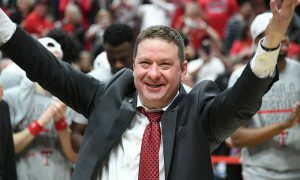 The Cyclones had JUST defeated Kansas State on Saturday and closed the Big 12 race down to one game for themselves, Kansas and Texas Tech. Iowa State needed to hold serve and it didn’t. 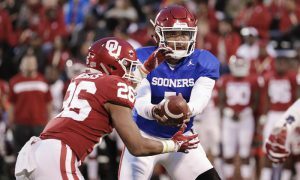 The good news is that up until their Big 12 finale the schedule is manageable — at TCU, vs. Oklahoma, at Texas and at West Virginia. All four of those are winnable games. The finale is at home against Texas Tech. ISU is good enough to win all five of those games. But the Cyclones have no control over their destiny now. 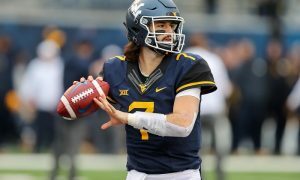 They not only need to run the table but they need a lot of help to even think about reaching the top of the Big 12. Baylor is back in it, though they’re on the outskirts. However, unlike Iowa State, the Bears can impose a little influence on their chances. Among their five remaining games are contests at Kansas State and at Kansas. Yes, those are tough places to win. But you’ve seen how fluid this Big 12 race is, right? Nothing has been decided, and likely nothing will be decided, until that final weekend on March 9. 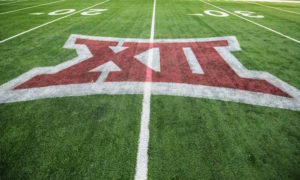 The winner of the Kansas-Tech game has second place in the Big 12 to itself. If, for some reason, Oklahoma State upsets K-State then the Wildcats and the winner of the Kansas-Tech game are tied for first place. If it’s Kansas and K-State, the two teams meet next Monday in Lawrence for the outright Big 12 lead. If Baylor and Iowa State want to stay in this race for the title, both have to win. Texas, Oklahoma and TCU are all trying to make cases to the NCAA Tournament committee. Wins for them influence their fortunes to make it to March Madness.